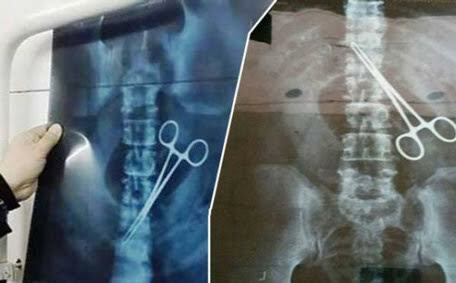 “He was taken for a scan at the hospital and the big surprise was that it showed there is a big scissors inside his abdomen,” the Saudi daily 'Al Wata'n reports. “When he was told about it, the pilgrim got a shock. He said that he underwent a surgery nearly 15 years ago but never had any pain,” the paper added, without making clear if the pilgrim was allowed into the Gulf Kingdom or not.